CLICK HERE TO APPLY ONLINE ! facility and others under departmental supervision. Ability to work as an individual and also as a team member. Ability and willingness to follow orders promptly and accurately. Willing to work all shifts. Agree to submit to background check at least every three (3) years. hundred sixty (160) hours of training. 1. Following all federal, state and local laws. Department of Corrections Operational Guidelines. 5. Supervising and giving instruction to incarcerated inmates. 2 and 3, Zone Officer, and Reception Officer. the recidivism rate of released inmates. 10. Maintaining the Officer's and Visitor's Logs. 11. Maintaining a pass-on of all relevant events. 15. The general housekeeping of his/her area. rights of all inmates incarcerated at the facility. 18. Performing any and all other duties as assigned. STRAFFORD COUNTY DOC IS ACCEPTING APPLICATIONS, AND INTERVIEWING FOR OPEN POSITIONS. See below for our application and mailing address. Do you have what it takes, Are you up to the challenge? 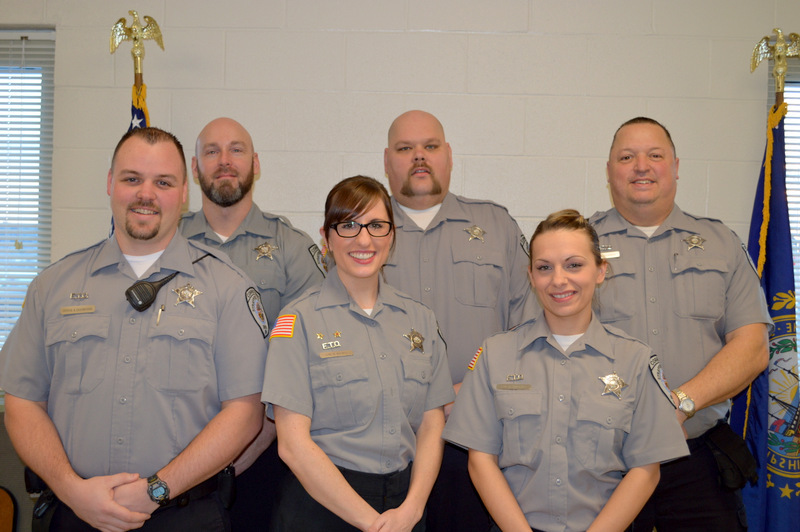 The correctional officer is responsible for the direct supervision, care, custody, and control of all inmates Incarcerated at the facility. Applicants must be at least 18 years of age and possess a high school diploma or equivalent. Passing, at a minimum, four of the seven listed Physical Fitness standards. » Physical Fitness Requirements At least four (4) of these tests must be passed. Excellent communication and human relation skills, maintaining good health, and the desire for a challenging career. HIRING PROCESS: The following steps, which typically occur in the following order, will be successfully completed prior to being issued a conditional offer of employment. SCDOC Reserves the Right to Perform Polygraph Testing on Applicants During the Interview Process. Career Ladder including Booking Officers, Field Training Officers, Central Control Officers and a Reception Officer receive additional pay once promoted. Women are very successful in this profession and are encouraged to apply. No experience is necessary to be a great correctional officer; all you need is the desire to learn and the physical and mental abilities to handle what may be a stressful environment at times. If not already installed on your computer, you'll need Adobe Acrobat Reader to view the .pdf file. Strafford County is an equal opportunity employer.